The new digital landscape is changing the role of marketing communications (marcom). The old model of marcom working in silos, separate from operations, is not longer sustainable. Social platforms and new technology are blurring the line between marcom and operations. Businesses that do a better job integrating these functions are more likely to succeed in this new environment. We can see great examples in customer-centric companies such as Zappos, Southwest, P&G and Apple. These companies connect marcom with customer service (e.g., Zappos & Southwest) and with operations/product development (e.g., P&G and Apple). We are likely to see the role of marketing operations increasing in relevance in today’s business world. Marketing communications has traditionally been in the back seat of the corporate world. Tenures for CMOs tend to be short, with a limited seat at the table. They have been focused for the most part on communications. Finance and operations have traditionally led product development and customer service. Telecom, financial services, and the retail industry are good examples of this structure, with some exceptions. This model, however, no longer works in a digital and connected society. Business cannot longer manage what they “say” separately from what they “do”. Technology has blended marcom with product development and customer service. Social media is customer service. Developing web platforms is product development. As a result, the best companies are shifting from marcom to marketing operations (markops). This new role will require new skills. 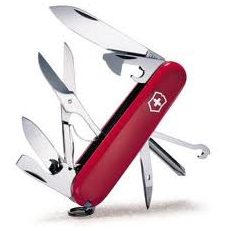 To make this shift, marcom will need to become a Swiss army knife. They will need to be versed in analytics, technology, operations, and finance so that they can manage the “do” as much as the “say”. In other words, the new breed of marketers are likely to be generalists and cross-functional players in today’s digital society. Dunno if you remember me, but we worked together for a hot second back at Ogilvy on an education project for Lenovo. I really love your thinking here. Actually, I recently started an agency and this is basically the founding premise. We felt like if we were starting an agency we should be forward looking and try and capitalize on emerging market trends. We're finding now that we may be ahead of our time;it seems like more people we're talking to are still trying to grasp the introduction of social media and aren't really ready to talk about the implications, or what comes next. "Social platforms and new technology are blurring the line between marcom and operations." I actually expressed this very idea at a recent job interview. That we can no longer think of customer service as one silo and marketing as another. Or, content strategy, my field, as yet another. The analogy I've been using to describe this would be to think of a spider web. It's all interconnected and in more ways than traditionally conceived. Thanks for the post Alberto. Social media, as it stands now, is entirely overvalued. Very few companies or celebrities have had success with it building their brands, yet everybody is wildly doing it. Look at a typical company's Facebook followers list and see how small it really is in the scheme of the big picture. Even Twitter has only worked well for a small few from the EARNED MEDIA it has brought. That's the real value in social media. Not the followers, not the fans. But old fashioned earned media that social media communications sometimes triggers. When you ignore the big picture, you end up just wasting a lot of money and man hours accomplishing nothing.